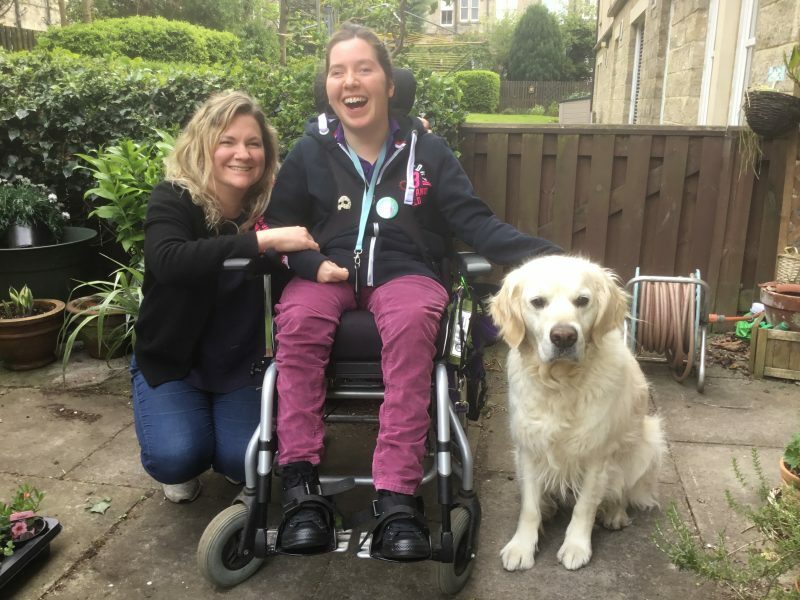 Catriona runs for Finola in the 10km Edinburgh Marathon on Saturday 27th May in order to help raise money to purchase a specialised electric wheelchair. Finola is one of my very good friends – I have also had the privilege of working with her over the last 8 months. 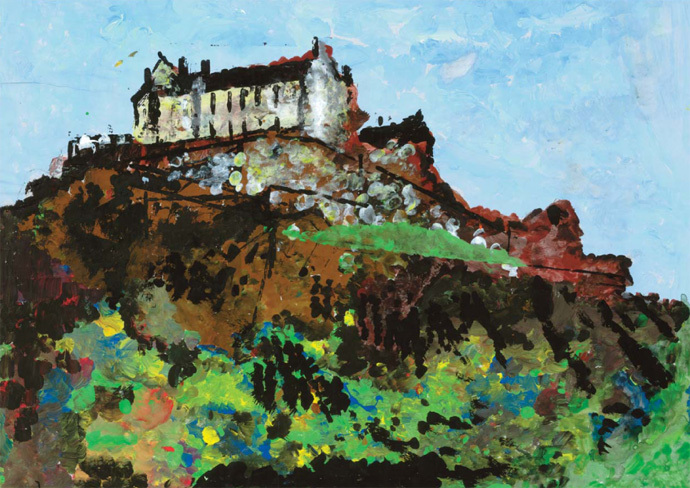 I am running the 10km race in the Edinburgh Marathon Festival on Saturday 27th May in order to help raise money to purchase a specialised electric wheelchair for Finola. Getting the right chair will make all the difference in the world to Finola. 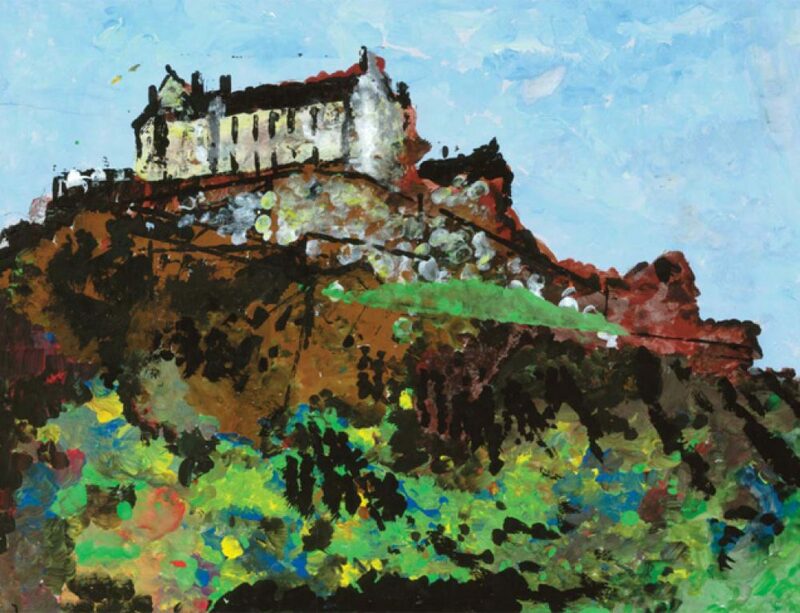 Whilst working with Finola, I have learnt that when an individual with a long term condition, such as Cerebral Palsy, reaches adulthood in Scotland, NHS provision changes. With regards to adult wheelchair provision, you can either have a manual OR electric chair – not both. This does not meet Finola’s mobility needs. 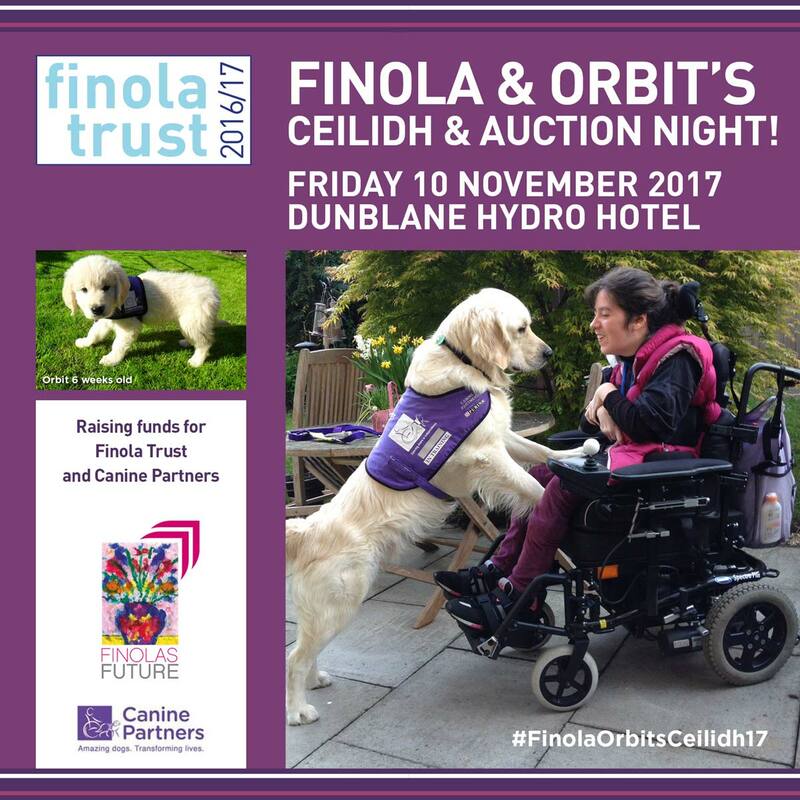 Orbit is Finola’s canine partner, a Golden Retriever, who provides companionship and protection while supporting her with physical tasks. He has given Finola renewed confidence. Despite her disability she is always smiling and is determined to influence her own world, inspiring people to “see me rather than someone in a wheelchair”. As most of you will know, I would not class myself as a ‘runner’!! However, over the last few months I have joined a local running group and made myself get up and out in preparation for taking part (even in the pouring rain in February). The cost of an adapted state of the art electric wheelchair is in the region on £12,000. 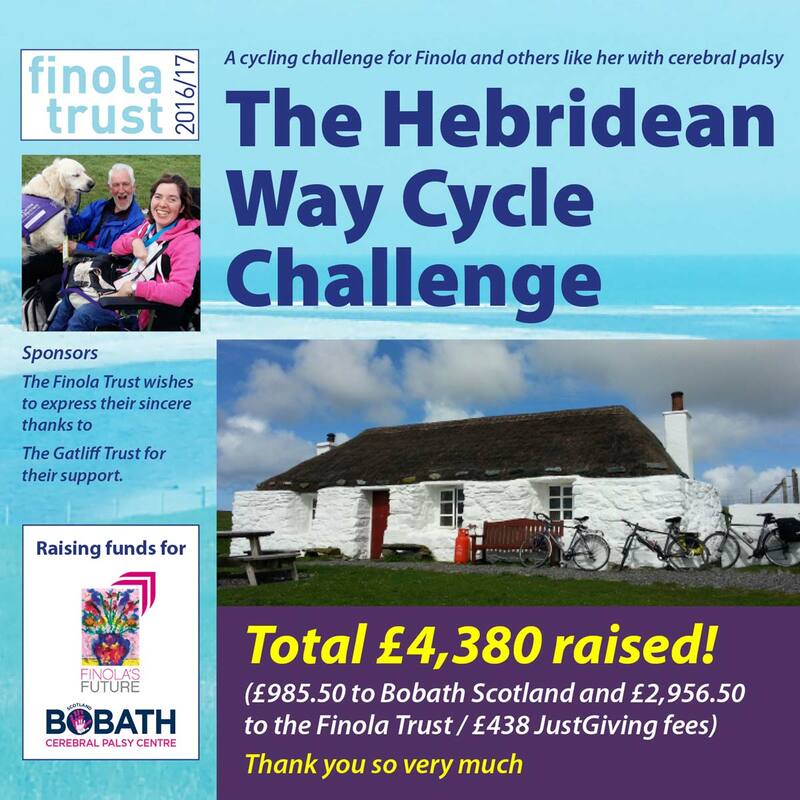 £7,838 has been raised thus far. 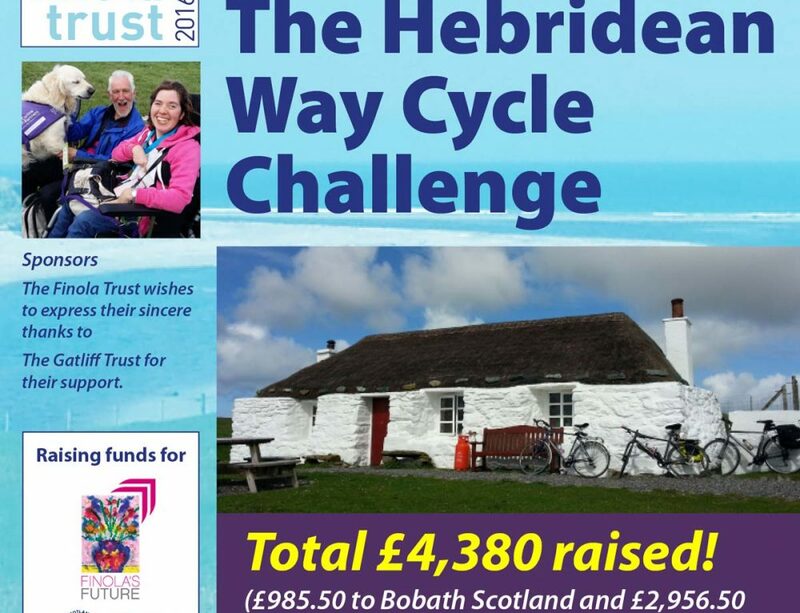 We still have £4,162 to go. 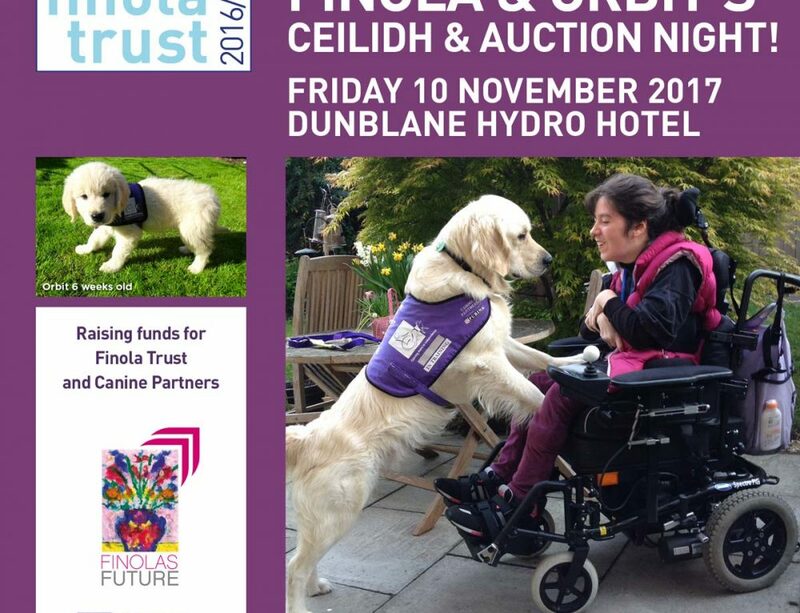 Please consider sponsoring me so that together we can get Finola as mobile and independent as possible by getting her some new wheels!! Thank you so much.